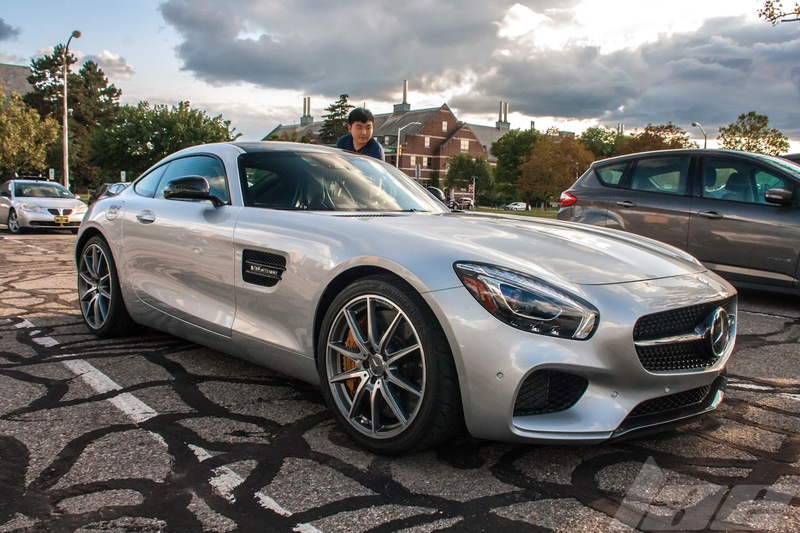 Every Wednesday night, I'm out on the campus of Michigan State University for the MSU Racing Club meets. 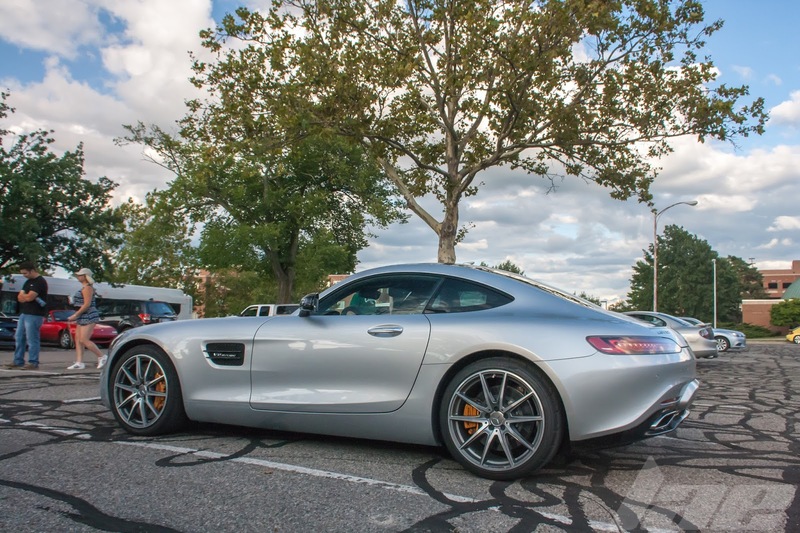 Being that it's directly on a campus known for it's high likelihood of spotting exotic cars, it's no surprise that some of that exotic metal shows up at the meet. High-G Racing is a smaller motorsports club consisting largely of Chinese students with nice cars. The guys from High-G are all about track days, so it makes sense that they all drive track-focused cars. 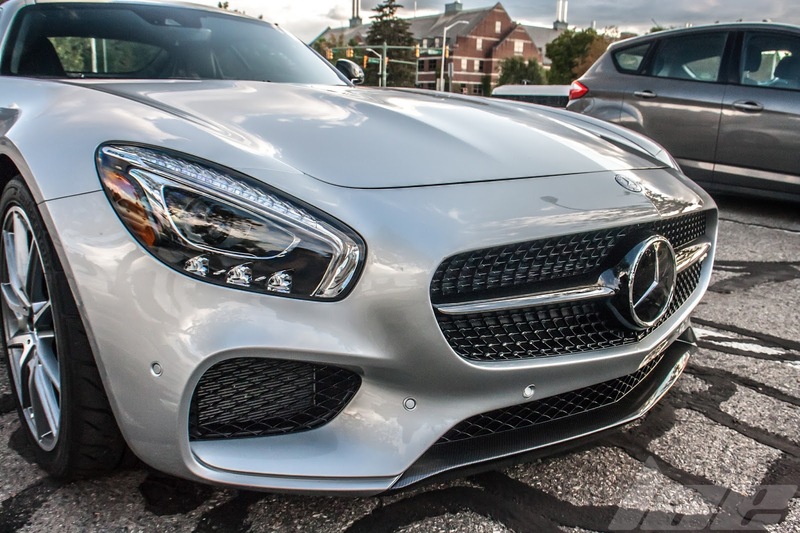 This 2014 AMG GT-S is no exception. 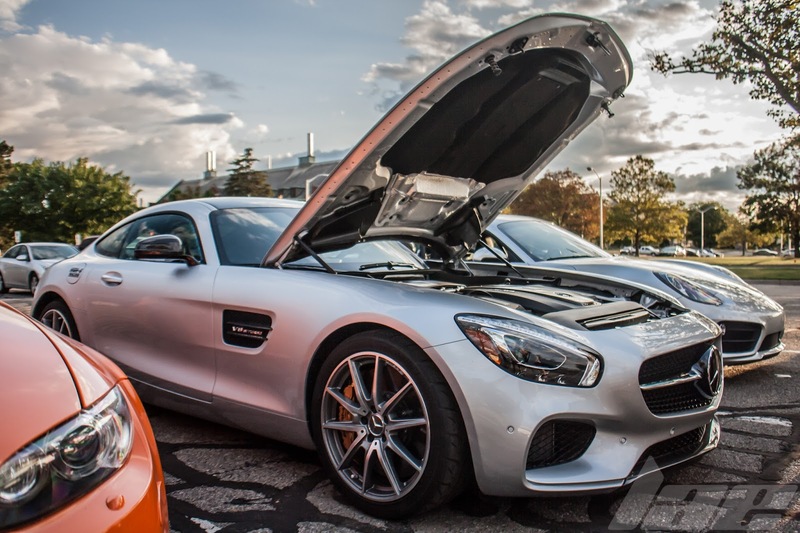 Mercedes released the GT-S as a replacement for the SLS in 2014. 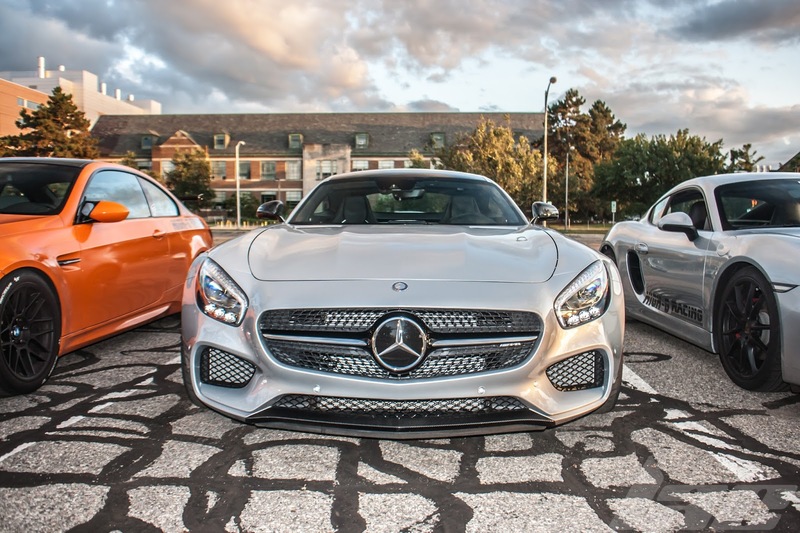 I honestly think that the GT-S looks worlds better than the SLS, which, honestly, wasn't an Ugly car. But this car has some lines that are impossible to miss. 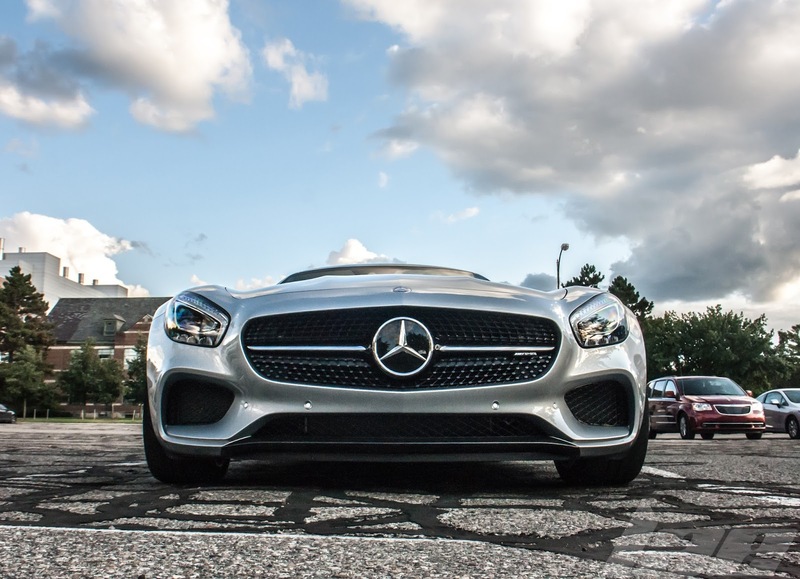 Look at the grille, vents and lights: Smooth, aggressive and sleek. 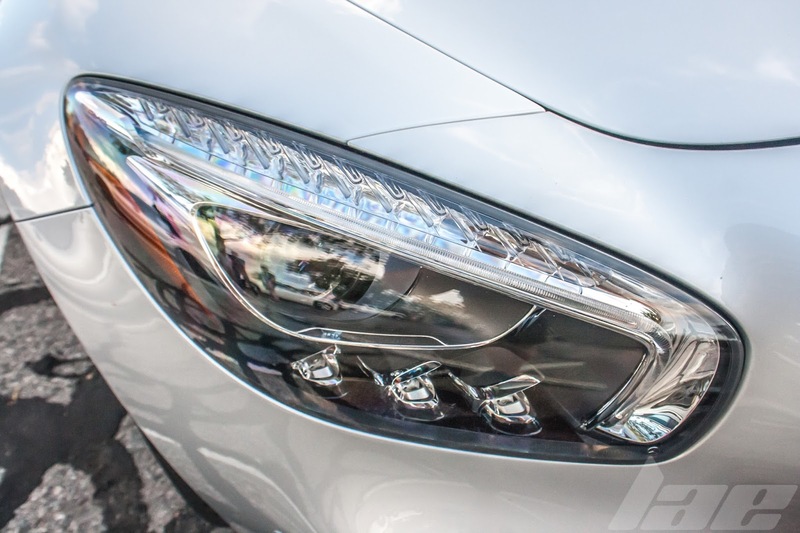 The headlights themselves are impressive. The LED's, the multiple focusing prisms and the shape of the different elements all flow with the rest of the lines on the car. You can tell this car is made for the track. 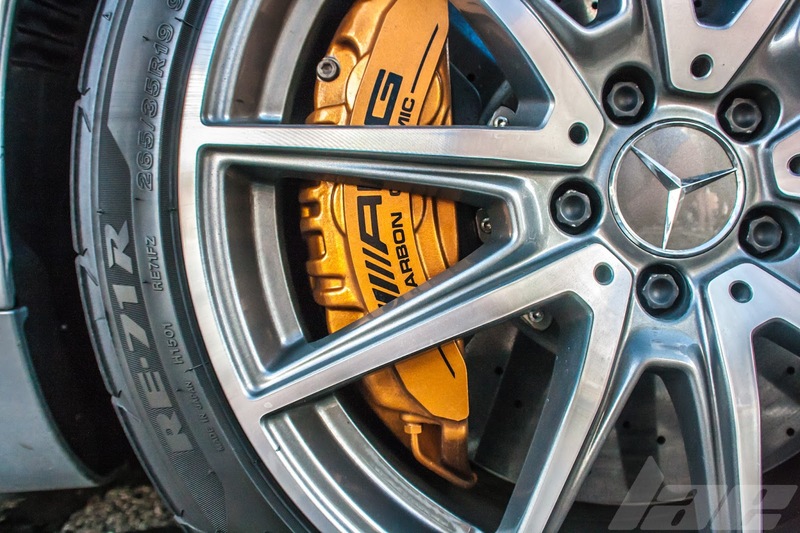 The AMG Carbon Ceramic Brakes (a $10,000 option, according to the owner), with 6-piston calipers and 15.4" two-piece rotors up front, and 14.2" rotors in the rear bring all 3627lbs to a stop, with the help of the traction from the Bridgestone Potenza RE-71R tires. 265/35ZR19's in the front and 295/30ZR20's in the rear. The lines on the side of the car are gorgeous. 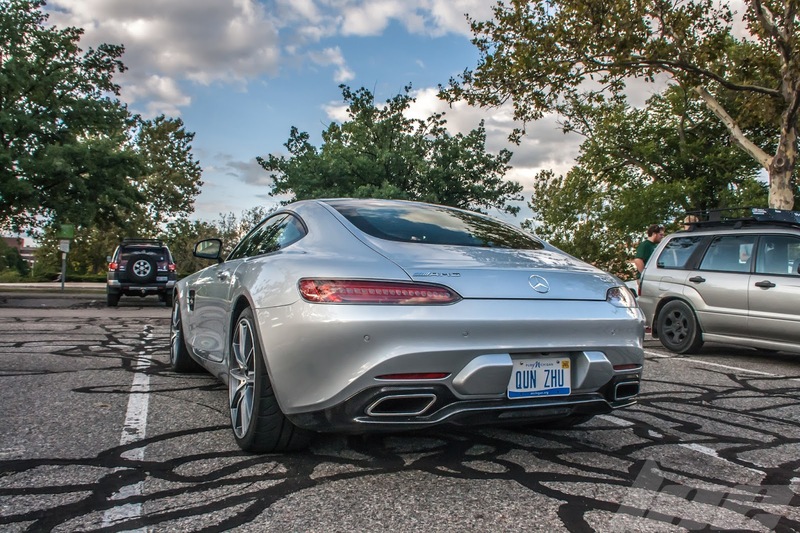 They make for a shape almost looking like it was inspired by the Porsche 991. The rear of the car is a bit more sedate than the front, though by no means boring. The rear of the car is one that drips in class. This car wouldn't look out of place parked among Rolls-Royce Ghosts and Bugati Veyrons, even though the price tag when brand new was just under $140,000. 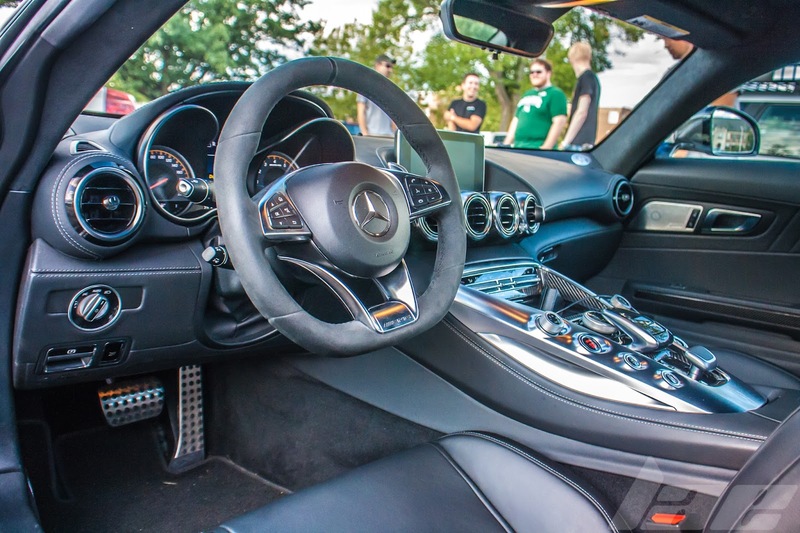 I love the signal lamps in the mirrors of most of the modern Mercedes cars. 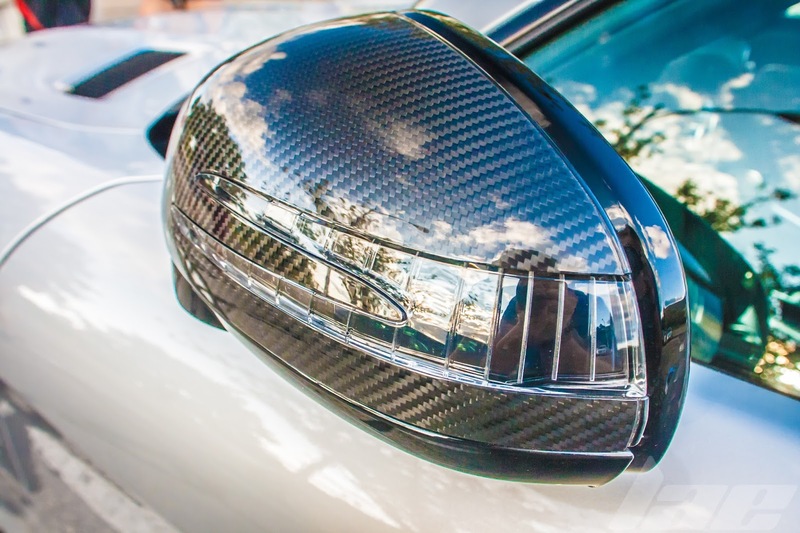 And the Carbon Fiber covers on the GTS just make them that much better. The interior continues the curvy nature of the exterior. 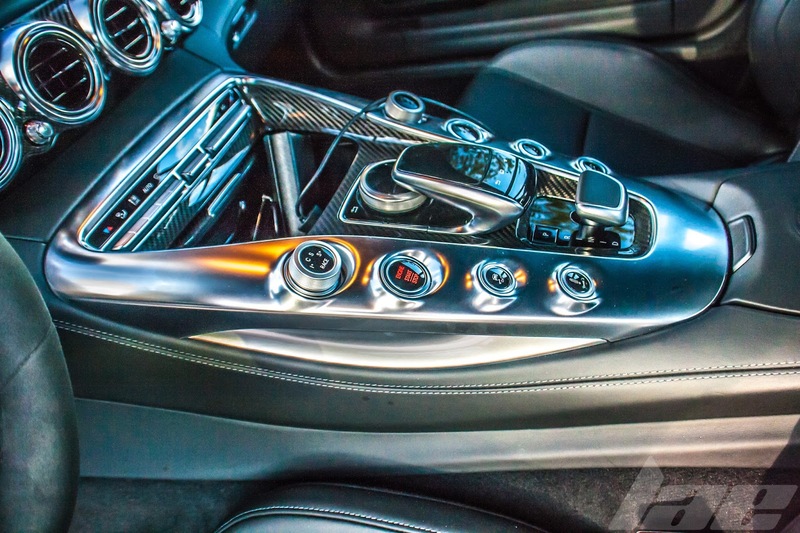 The center console, the contours on the steering wheel spokes, and the upholstery all bring a bit of that previously mentioned class to the interior. 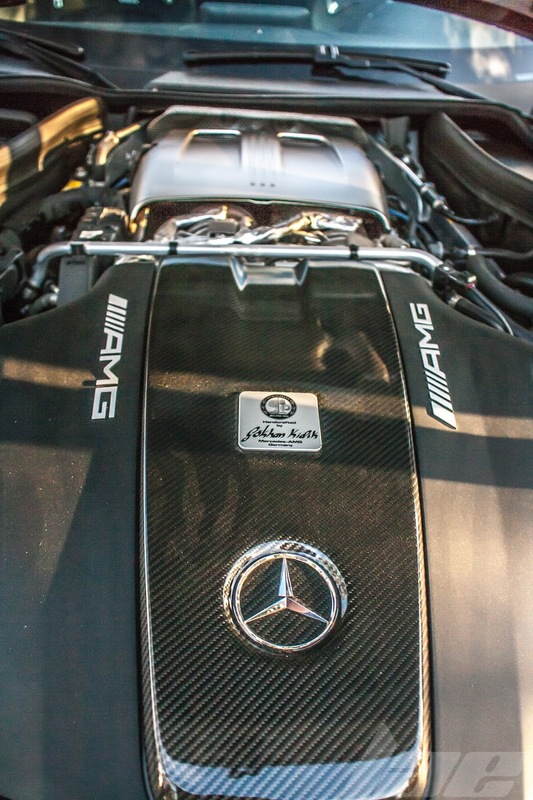 As I approached the engine bay, I was honestly expecting the 6.25L V8 from the C63 AMG. But, I was wrong. 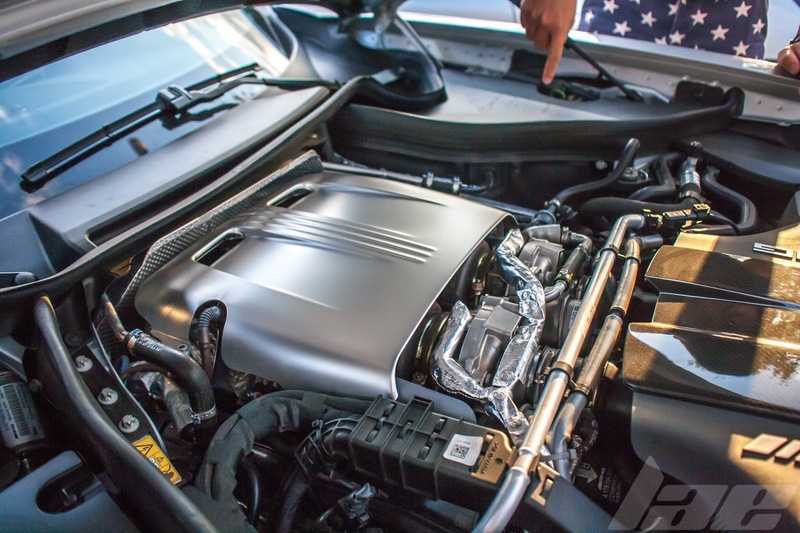 Under the hood, I saw what looked like an odd, forward-position engine. On closer inspection, that Carbon Fiber cover is covering up the air box and ducting. 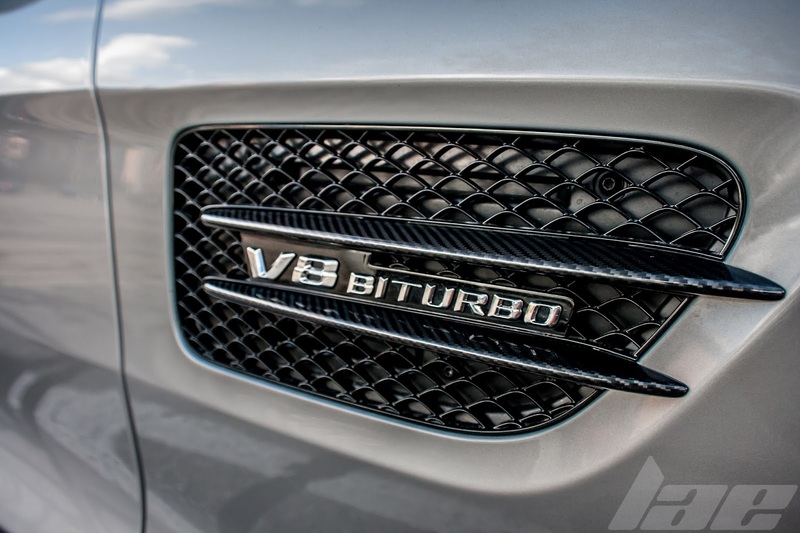 The engine is actually a 503hp 4.0L FOHC V8 Bi-turbo engine. 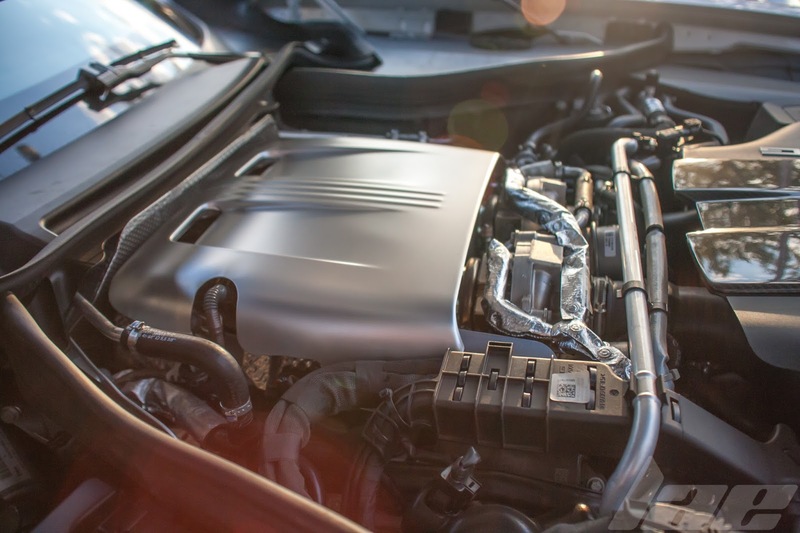 The two turbos you see on top of the engine aren't the same size. One has a smaller turbine and compressor for making boost at lower RPM's. The other is larger, for higher RPM and peak boost. Thanks for reading. Please, share my posts on your social media. And keep checking back often for more content.